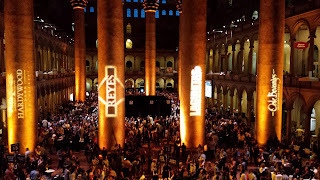 It's officially SAVOR week as the annual American craft beer and food experience occurs Friday and Saturday nights June 3rd and 4th. The event is sponsored by the Brewers Association and consists of 76 breweries pouring two beers each. The breweries represent 28 states and Washington DC, 70% were not at least year's event, and 50% have never poured at SAVOR before. This year Wyoming seems to have an over supply with Black Tooth Brewing Co., Melvin Brewing, and Roadhouse Brewing Company representing the Cowboy State. Melvin was the GABF 15 Small Brewpub of the Year so check them out. Along with a sample of beer there is a food pairing developed by Chef Adam Dulye, executive chef at the Brewers Association and Chef Kyle Mendenhall, BA chef consultant and executive chef at Bolder Colorado's The Kitchen. As usual there is a plethora of beer styles and IPAs dominate the tasting again with 33 versions ranging from low abv sessions to high octane imperials. In tune with the sour beer trend there are about two dozen sour or tart beers with a vast majority binging Sour/Wild/Brett but including four Gose and three Berliner Weisse beers (The Dogfish Head Craft Brewery Seaquenchale is included in both the Gose and Berliner Weisse totals). The latter two styles are my sweet spot right now so I've listed these beers below. I'm also a Porter fan and there will be ten versions with a few sweeter Baltic styles, a smoked from Quest Brewing Company, the Flying Dog Brewery barrel aged Notorious B.A.G., and several Imperial Porters - see Stone Brewing Co. Encore: 6th Anniversary Porter. Similarly there will be 16 Stouts from a silky smooth milk stout like the Saugatuck Brewing Co. Neapolitan to several heavy imperial and barrel aged versions. Saisons as well as a few other Belgium inspired Dubbel, Tripel, and Quad ales are also well represented. See Virginia's Center of the Universe Brewing Co.and their IV Barrel-Aged Quad & Monkey's Uncle Tripel and Florida's Marker 48 Brewing Diepolder Dubbel & Meet The Heat Saison. And finally, I've listed a few notable and interesting brews that I plan to checkout. Cheers. Service Brewing Company - Savannah, GA: Old Guard Biere de Garde. Mac's Creek Vineyards & Winery came through with another interesting wine at the annual Wine America Congressional Tasting. 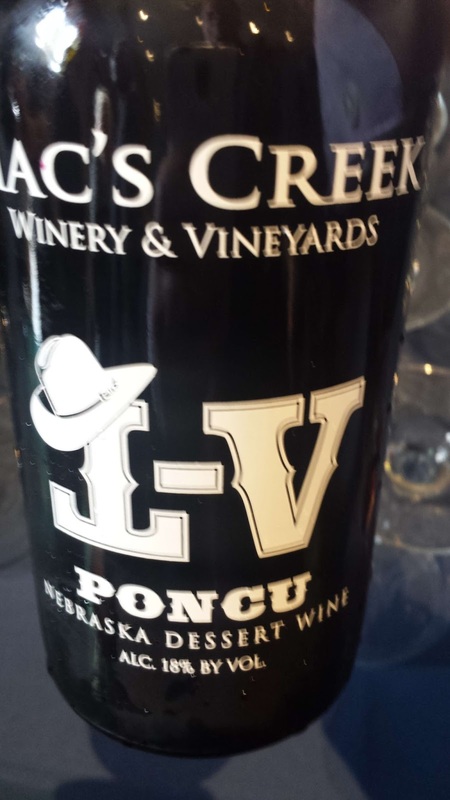 This was their Poncu ($25) port styled wine. 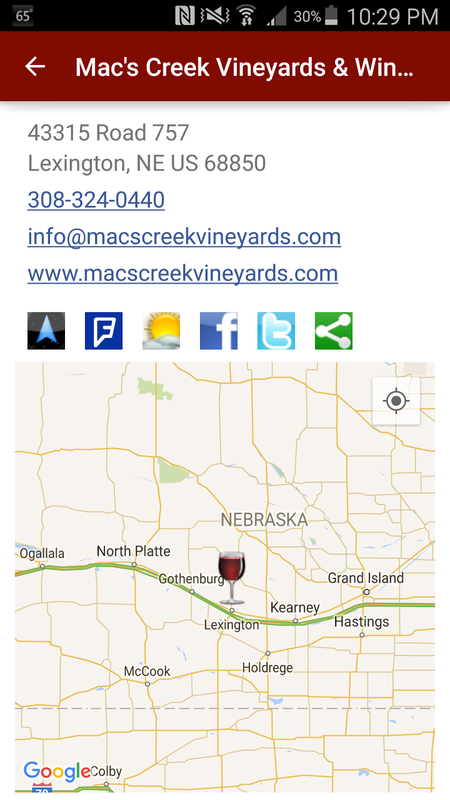 The weather is too extreme in the Cornhusker state for vinifera grapes so Mac's Creek specializes in cold hardy hybrids, many created at the University of Minnesota such as Edelweiss, LaCrescent, and Frontenac. Founder Max McFarland explained how the Poncu is made. They ferment Frontenac and then send the wine to a distillery where it is distilled into grape brandy. The winery then purchases the brandy, ages it in oak barrels, and then use it to fortify batches of semi-dry Frontenac. As you can see, Frontenac all the way. The label and name honors the McFarland Family cattle brand and Max's father Dale "Bud" McFarland. Bud enjoyed Stetson hats and Poncu is what 3rd generation and co-owner Barry McFarland called his grandfather as a little boy. The Poncu is very nice. The nose is cherry, wood, and a bit ethanol. The oak character persists throughout and with the alcohol dampens down the sweetness.With this wine, Mac's Creek proves with a little ingenuity and working within the state regulations, a winery can produce a unique and tasteful wine - in this case a highly recommended port styled dessert wine. Cheers. It's been difficult procuring wines to continue the United Grapes of America series, but them comes along the annual Wine America Congressional Tasting featuring dozens of wines from across the United States. 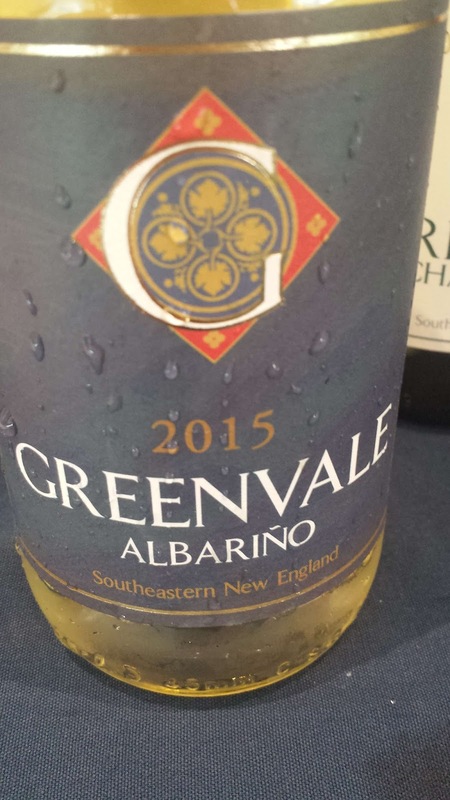 This event included several interesting wines with one being the Greenvale Vineyards Albarino. 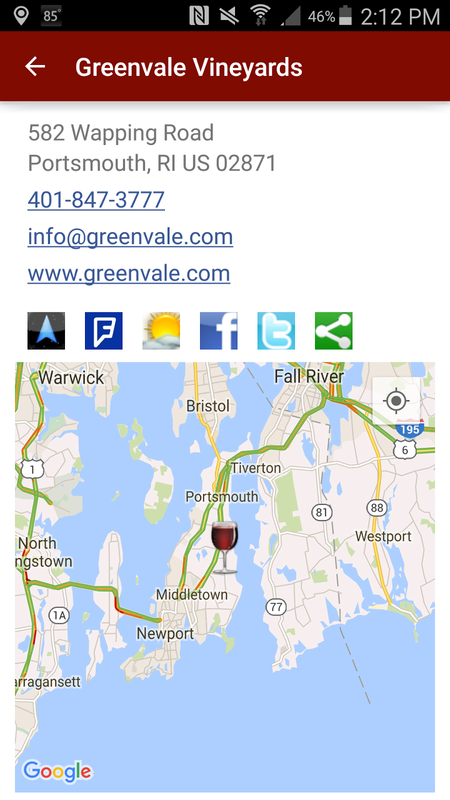 This Rhode Island winery is located along the Sakonnet River in Portsmouth, RI, five miles north of downtown Newport and is a member of the Coastal Wine Trail. Apparently "Greenvale is a farm that has been in the same family since 1863. It is listed on the State and National Registers of Historic Places". 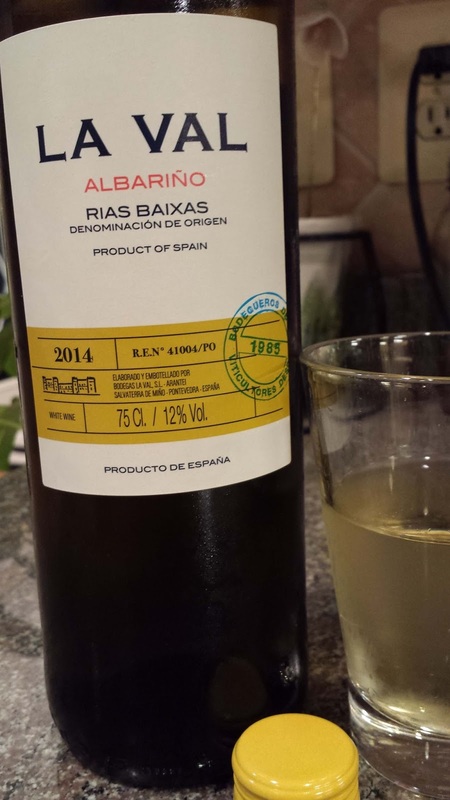 For the past two months I've sipped plenty of Rías Baixas Albariño through #WineStudio's Rías Baixas sessions and the 2015 Greenvale Vineyards Albariño ($15) matches most of the characteristics I've come to expect in this style. It starts with tropical flavors with some lemon then transitions to a saline-mineral character before finishing with decent acids. Since the grapes are estate grown in the Ocean state (very close to an estuary), they share some similarities to their Galicia grown brethren. Cheers to American wineries producing wine from interesting grapes. 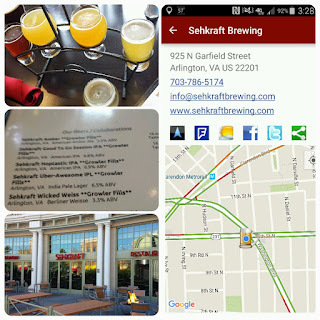 Saturday I made my second visit to Sehkraft Brewing and this time they had five of their house brewed beer. 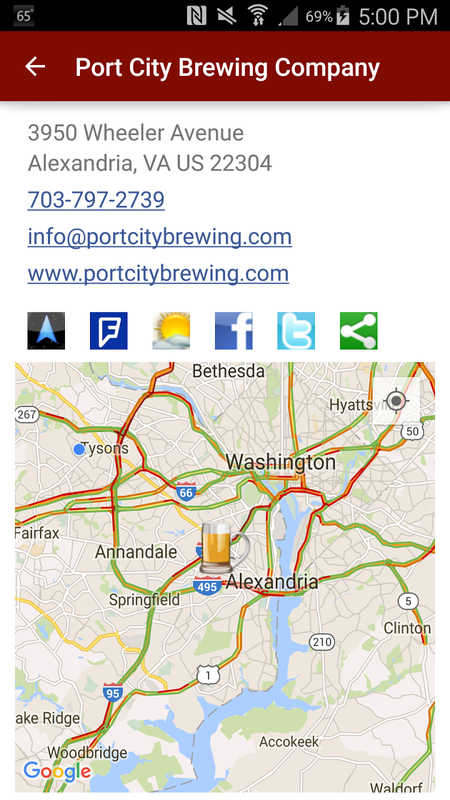 This brewery, restaurant, butcher shop, and music venue also carries an impressive list of Virginia and National beers to augment their house brews. First though, the food is unique and outstanding as Chef Jay Jenc melds Eastern Europe and Piedmont/Low Country cuisine - at very reasonable prices. On both my visits I went with the wild burger, the first bison, the second camel. And there's plenty of sausage and kielbasa straight from the butcher shop. Actually, all the meats come from the adjacent butcher shop. As for the beer I was quite satisfied with four out of five. Their Amber Ale had a nice balance of malt to hops and not overly sweet as tends the style. It also was the best to pair with the camel burger. The Good To Go Session IPA was both flavorful and aromatic; a low abv session without tasting watery. The Hoptastic IPA was fuller, hoppier, and not over the top. Then there's the Wicked Weiss, a fresh and mildly tart Berliner Weisse - seems like a great beer for their patio and post bike ride. (And Sehkraft isn't too far from the W&OD Trail) The final beer was the Uber-Awesome IPL which just didn't suit me. I liked the individual aspects of the lager and IPA, but they just didn't seem to meld together and were fighting each other. Otherwise a talented lineup. 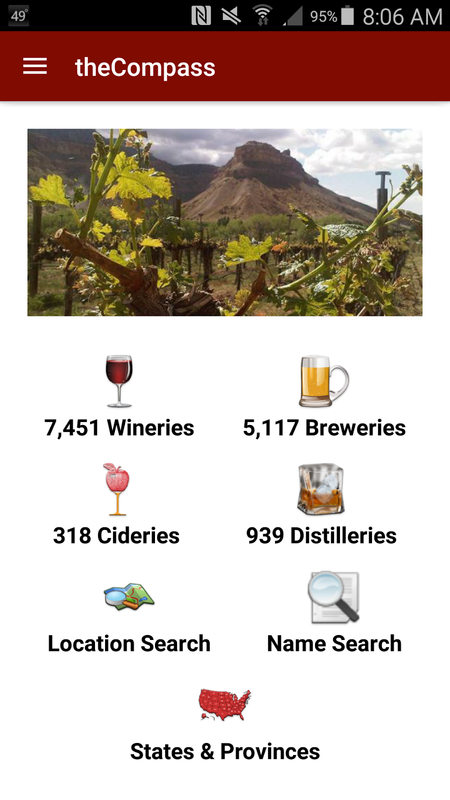 Go visit soon - theCompass Winery Brewery Distillery Locator app will help. Cheers. 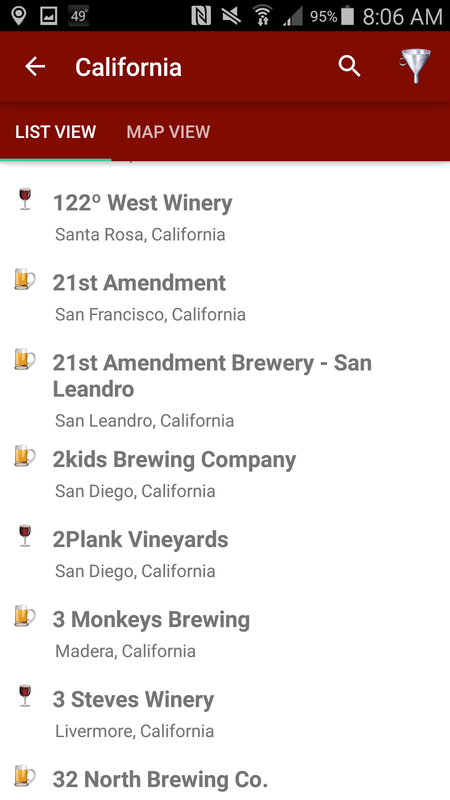 This week we released the first major upgrade to the Android version of theCompass Winery, Brewery, Distillery Locator App. The new version includes several library upgrades - including Location Services - as well as several workflow patterns. First, the data is now stored on the device allowing for data access in the most isolated regions. Second, the location and zipcode\name searches have been separated to different activities. And along with the state\province module, these activities utilize a viewpager to display the lists and maps of establishments for an easier flow. 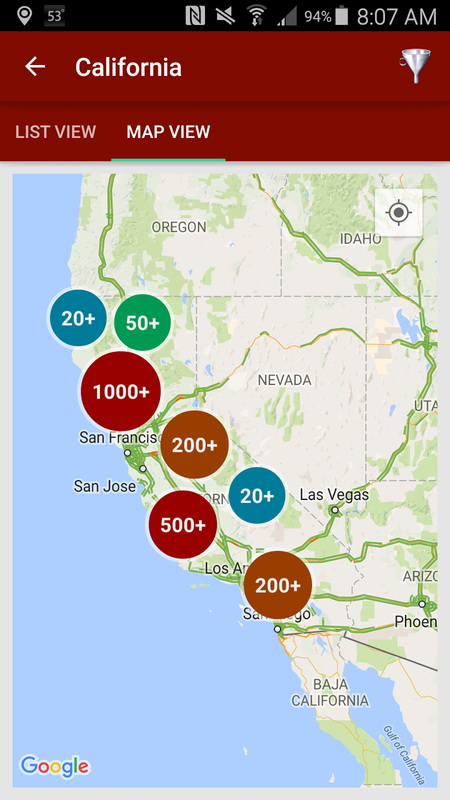 The maps also include an upgraded cluster library used for California and Washington state and probably for Oregon in the near future. The Company Details activity is basically the same except easier access to social media sharing and a new Weather API that graphically illustrates a seven day forecast. The next release will include social media logins which will then allow the user to check-in and save comments when visiting an establishment. That work will commence after the WineCompass.com site is upgraded to a more stable platform. Cheers and safe travels. During the height of Greek civilization between 800-400 B.C., the Celts, who we now associate with Scotland and Ireland, ruled over most of Central and Western Europe. In fact, the Alps mountain range is named from the Celtic Alpes, which itself is derived from a pre-Indo-European base alb (hill). Over time the Celts were pushed to the extremes of Europe - including Galacia where the Romans referred to them as Celtiberians - regardless whether they were ethnic Celts or a mix with Iberian tribes. (See The Celts in Spain). The Celtic presence explains why many Galicians are fair-skinned and eager participants in the production of wine as the ancient Celts were fans of wine, mead, and beer - which they called cervesia. (See Story of the Celts: The Ancient Celts). This week #WineStudio's Rías Baixas session focused on Galicia being called Green Spain as"its wet and mild ocean-controlled climate produces lush pastures and sylvan forests". And whether by intention or coincidence, the landscape of Galicia more closely resembles Celtic regions of Ireland, Great Britain & the west coast of France than the rest of Spain. This greenness results from winds from the Atlantic Ocean bringing moisture inland which is then trapped by the Galician Massif mountains.This wind also carries sea spray inland which "permeates everything; soils, air and vine". And Galician's diet is based on the sea: fish, shellfish, and crustaceans. As a result many Rías Baixas wines carries some allotment of salt and minerals and the wines are bred to pair with seafood. And the two wines featured this session validate this claim. 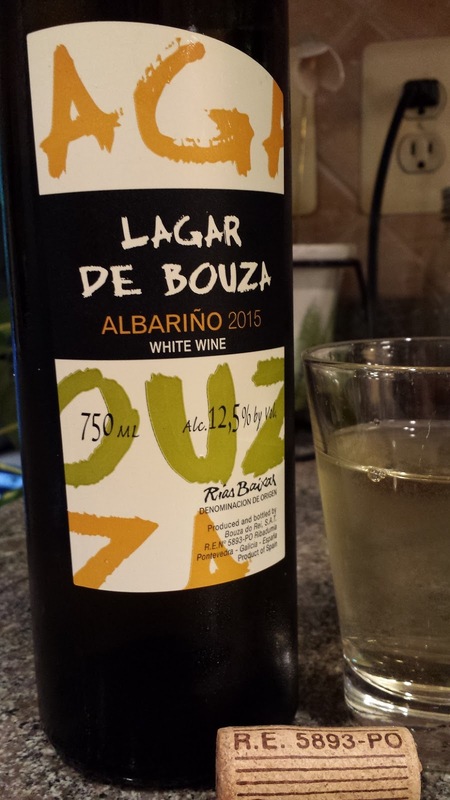 2014 Lagar de Bouza DO Rías Baixas ($16) - produced by Bouza do Rei which was established in 1984 and was one of the first wineries registered in the newly created DO Rias Baixas. The winery is situated in Val do Salnés - the western most and most maritime extreme of Rías Baixas sub regions. The vineyards are located on small hills, most only 100 meters above sea level. And the vines are trained on granite posts to protect from humidity. This wine consists of 100% Albariño and exudes minerals that blend with and intense lemon flavor and abundant acids. Give me clams and oysters. 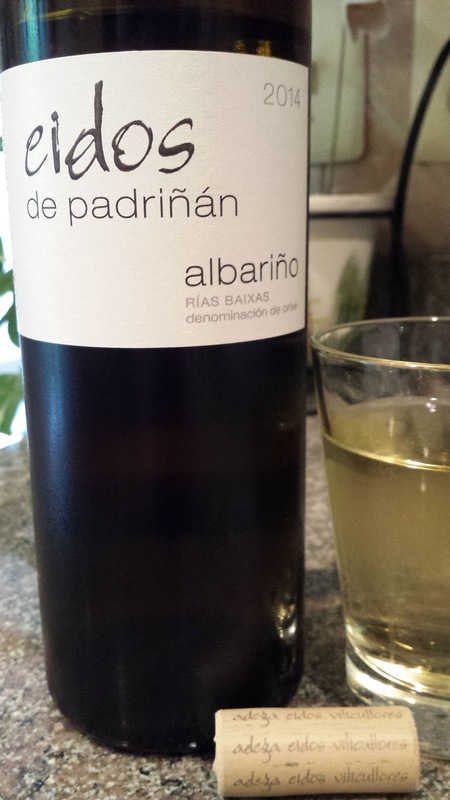 2014 Eidos de Padriñan DO Rías Baixas - Val do Salnés ($22) - this wine was produced by Adega Eidos, also located in Salnés, and launched in 1993. Eidos refers to the "backyard garden arbors constituting the traditional ungrafted Albariño vineyard" mentioned above. Their Padriñán vineyard is south-facing and overlooks the sea and receives additional heat exposure from "reflection from the water and a wind-sheltering stand of eucalyptus at the top of the slope". Despite the similar growing conditions this wine is a complete contrast to the Lagar de Bouza. Whereas the former was aggressive and citrus, this is a laid back wine, with textured tropical flavors include creamed guava and milder minerals and acids. A very self assured wine and my favorite of the entire series. Other DO Rias Baixas wines in this series can be seen here. 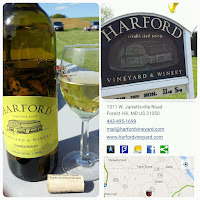 Mother's Day lead us to a day trip to Maryland's horse country and Ladew Topiary Gardens and Harford Vineyard & Winery. 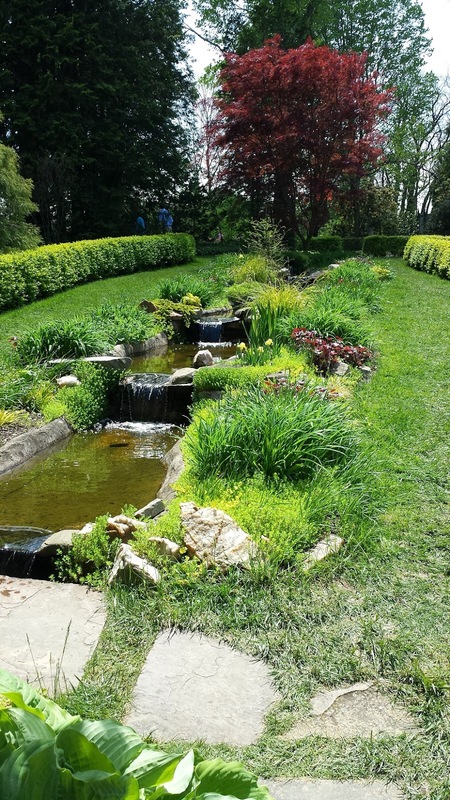 The gardens are quite impressive and the winery, a mere 10 minute drive away. Part of the Piedmont Wine Trail, Harford Vineyard was established in 2003 growing Vidal Blanc and Traminette and adding Merlot later to their estate property. In 2009 they started producing wine and augment their portfolio with grapes grown in other Harford County vineyards - except for the California sourced Malbec. The winery generally has eleven wines available ranging from dry reds to semi-dry whites to sweet wine. Their Chardonnay ($15) is fermented to .5% r.s. Even with a little sugar this is a tasty wine, although I wouldn't recognize the grape. On the other hand, the Vidal ($16) and Traminette ($15) were spot on, floral and acidic for the former, a tad spicy for the later. Their Cabernet Franc ($20) was my favorite: medium bodied with cherry over green pepper flavors. As for the sweet wines the Peach Kissed ($15) is the best - a blend of peach juice and Vidal with the stone fruit ever present. Cheers to Maryland wine. 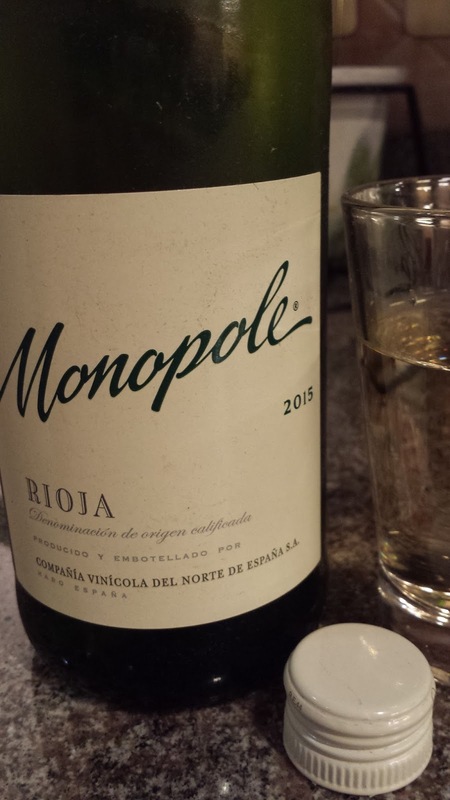 2015 Monopole Rioja 100% Viura ($13) - This wine is one smooth operator: laid back, self-assured, stony and creamy orange blossoms, with just enough acids to make you notice. It is the oldest white wine in Spain with CVNE has produced it since 1915. The Viura grape is also used in Cava and is known outside of Spain as Macabeo. But in Rioja it is the most widely planted white grape variety. 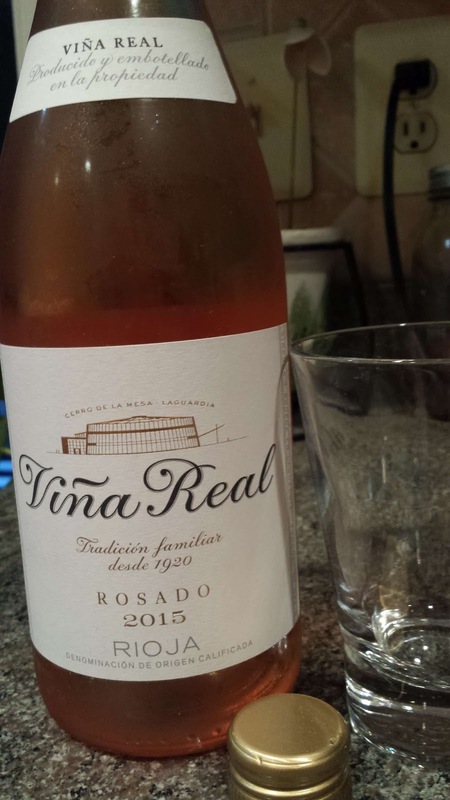 2015 Viña Real Rosado ($15) - 85% Viura & 15% Tempranillo. Although the Viña Real brand was introduced in the 1920s, the winery in Laguardia is as contemporary as any Spanish winery. This graphic explains all. 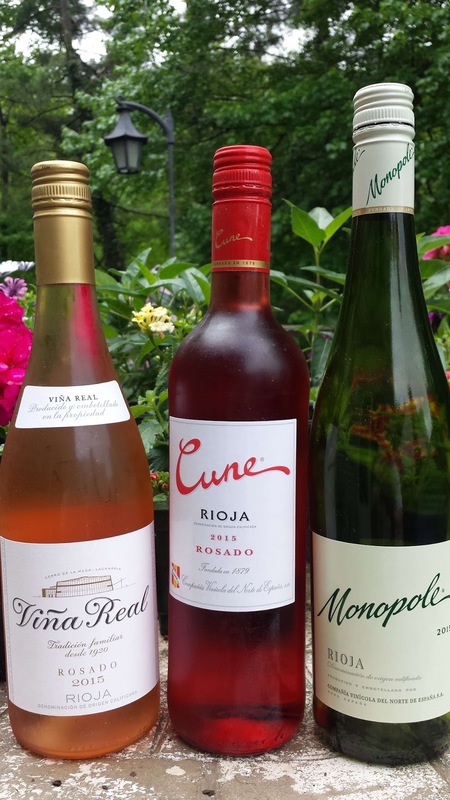 The rosado is a very light rosé, starts off floral and ends citrus and decent acids. 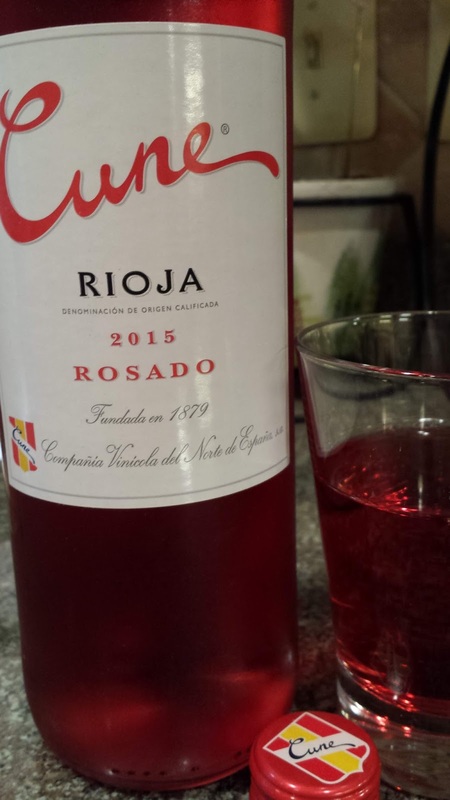 2015 Cune Rosado ($13) - 100% Tempranillo. The darker color results from extended skin contact. This is an intense rosé with ripe strawberries throughout and a decent dose of acids. Comes across slightly sweet not from residual sugar but from the juicy flavor. Whereas the first month of #WineStudio's Rías Baixas focused on Albariño, this month we are discussing other allowable varieties even though they constitute only 10% of all plantings. According to the Rías Baixas website, these grapes are Treixadura (traditionally blended with Albariño), Loureiro (a high-quality local variety particularly associated with O Rosal), Caiño Blanco, Torrontes, and Godello. Caiño Blanco almost disappeared from Rías Baixas in the 1980s until Terras Gauda resuscitated it after discovering its inherit qualities. According to the winery, Caiño "adds aromas of exotic fruits, balsamic notes and, most importantly, great structure and singularity". The first week of the 2nd session on Rias Baixas featured two wines from wineries located in the O Rosal sub-region which borders Portugal and is adjacent to the Atlantic Ocean. These two wines provide a distinct comparison between a 100% Albariño and an Albariño based blend. Cheers to Rías Baixas. 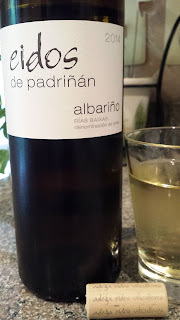 2014 Bodegas La Val Albariño DO Rías Baixas Condado do Tea ($17) - the winery is located in O Rosal, close to the Miño River. 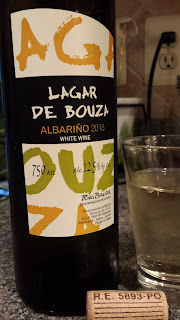 This 100% Albariño wine plows straight ahead with grape fruit flavors until the time delayed acids. A simple clean and refreshing wine. 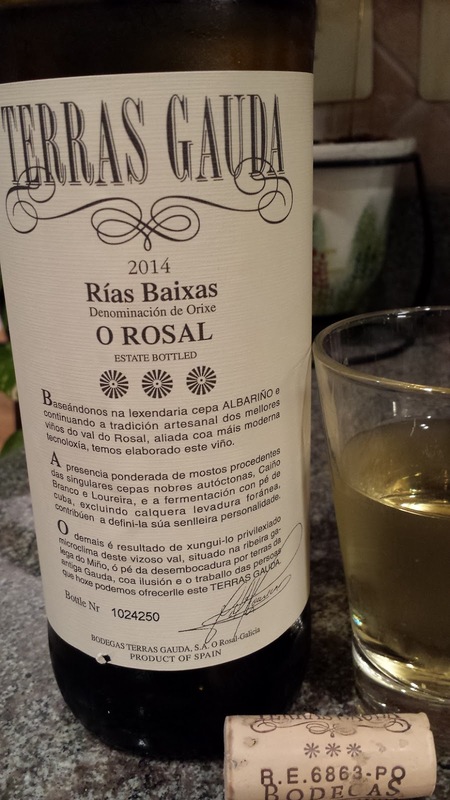 2014 Terras Gauda O Rosal DO Rias Baixas ($24) - this wine is a 70% Albariño, 15% Caiño, and 15% Loureiro blend. Terras Gauda is located in the extreme southwest of the province of Pontevedra and the Loureiro comes from high altitude and cooler vineyards This leads to more intense aromas and along with the Caiño helps produce a more complex wine with an interesting stone fruit interface. The finish provides a bit of citrus tang and decent acids. 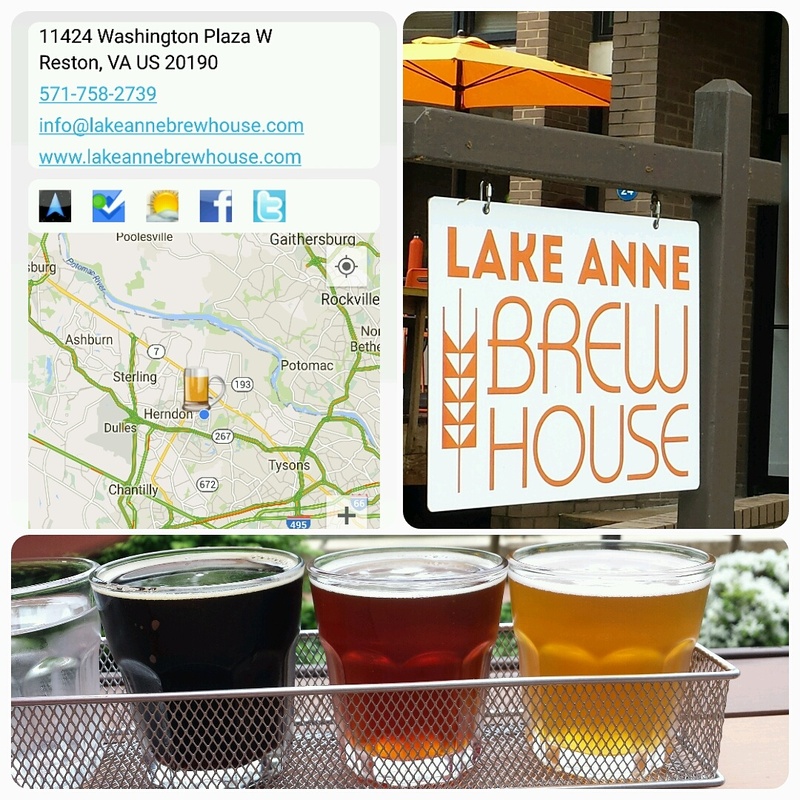 I've lived in northern Virginia for almost two decades but I never knew to visit Reston's Lake Anne Plaza until the Lake Anne Brew House opened two weeks ago. It seems like the nanobrewery and taproom have been on verge of opening for a year now, but they finally navigated the winding and waving state and local regulations to open April 16th. Jason and Melissa Romano are the proprietors with Jason transitioning from home brewer to professional brewer and Melissa responsible for the architecture. The best drinking spot is on the patio overlooking the plaza and lake tributary. There were only three beers available on my visit because the brewery ran dry on opening weekend. My favorite was the Simon's Stout (toffee focused dry stout with mellow creamy finish). 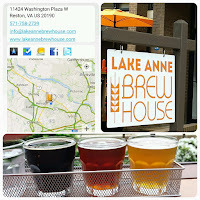 The Reston Red Ale is a nice dry hopped amber ale and thankfully not malt heavy. Finally IPA lovers will be satisfied with the Live-Work-Play IPA (citrus and clean; hop heavy) and a tribute to Reston's founder Robert E. Simon. Looking forward to visiting when their expanding portfolio comes online in the coming weeks. Cheers.